Essential Qualifications: Candidate should have passed the 12th Class under the 10+2 Scheme/Senior School Certificate Examination or Intermediate Science (I.Sc.) or an equivalent examination of the recognised University/Board of any Indian State with PHYSICS, CHEMISTRY, BIOLOGY and ENGLISH (Core or Elective or Functional). ● A self-addressed envelope of size not less than 24cms x 30cms. The price of Admission Brochure along with Application Form is Rs. 1000/- (One Thousand Rupees Only). The cost of Admission Brochure is non-refundable. No other fee is required to be submitted along with the Application Form. 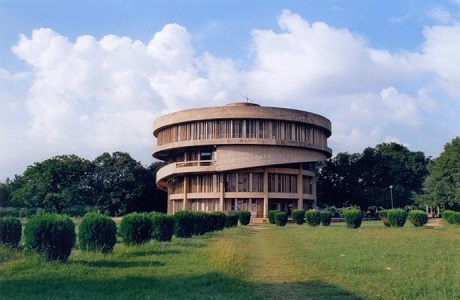 Lal Bahadur Shastri Institute of Management, Delhi is a premier institute of Management and Information Technology Education. Established by the Lal Bahadur Shastri Educational Trust in 1995, it has emerged as one of the top business schools in the country. It takes pride in being one of the foremost institutes in providing value based management education, thus developing professionals with a humane and pragmatic approach on the march towards corporate excellence. Eligibility: 3 Years Bachelor’s Degree in any discipline with at least 50% marks. Minimum five years experience. Company sponsored candidates will be preferred. Applications Forms are available at the Institute’s Admission against cash payment of Rs. 1600/- or by post DD of `Rs. 1675/- in favour of ‘LBS Institute of Management’ payable at New Delhi. 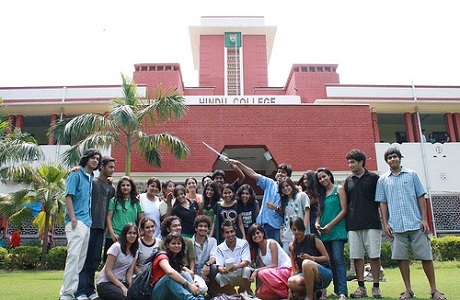 International Management Institute (IMI), India’s first corporate sponsored business school was established in 1981, as an autonomous non-profit educational society in collaboration with International Management Institute, Geneva now IMD Lausanne. In its quest to achieve excellence, IMI is one amongst the seven Business Schools in South Asia to receive the SAQS accreditation in 2009. The programs offered at FLAME are designed to balance classroom instruction with a unique delivery system - an intensive exploration of a medium through a practical, hands-on work culture. FLAME School of Business offers an AICTE approved two-year post-graduate diploma program anchored in liberal education and select courses at undergraduate level. FLAME School of Communication offers an AICTE approved two-year post-graduate diploma program (Communication) anchored in liberal education and select courses at undergraduate level. FLAME School of Performing Arts offers an undergraduate three-year degree course, a two-year postgraduate course and a five-year integrated program. Apart from these, the school offers diploma courses of varying duration. Candidates should have passed 12th standard or equivalent examination with a minimum aggregate of 50% marks in Mathematics, Physics and Chemistry. Candidates should have appeared for the Engineering Entrance Examination-2012 conducted by B.S.Abdur Rahman University. Application forms can be obtained in person from the following centres, on payment of Rs 600/-by cash To obtain from post send a letter with a DD of Rs 650/- DD should be drawn in favour of "B.S.Abdur Rahman University" , payable at Chennai. Name of the applicant and other details (BSAUEE -2012) should be written on the backside of the DD. Candidates who desire to apply online should send a DD for Rs.550/- drawn in favour of ‘B.S.Abdur Rahman University’ payable at Chennai to the Director (Admissions). Backside of the DD should contain the name of the applicant and other details (BSAUEE–2012). Eligibility: The course is particularly designed for individuals already working in local government or NGOs in the urban sector, environmental and community development sector, wishing to develop their understanding of sustainability as conceptual and practical tool. The eligibility requirement is a good Honors / Bachelor degree from a recognized Institution of Higher Education / University. Preference will be given to the relevant professional experience. The qualifying degree will normally be in a recognized environmental science discipline such as physical geography, biology, environmental chemistry, geology, engineering or a related area. Those with degree in other social science subjects including law will also be considered, according to the interests and background of the candidate. Competence in English, computers and internet access are required. The MOVER project is aimed at those nationals of the Asian Countries who are eligible to undertake a Masters degree at the partner European institutions or a mobility period as a Undergraduate, PhD student, Post-Doctorate, or academic/ administrative staff. • Must have not benefited in the past from an Erasmus Mundus scholarships for the same type of mobility. National Folklore Support Centre’s Tata Fellowships in Folklore are meant for M.Phil level students of participating Universities/colleges. This program facilitates an M.Phil level scholar belonging to one community to work collaboratively with another community’s elder or an artist to document the community elder/ artist’s tradition for a year long period. Each fellowship will carry an award of Rs.9000/- per month for the scholar and another Rs.9000/- per month for the community elder or artist. In addition to the monthly award each fellowship carries a contingency of Rs.50,000/‐ per annum to cover travel and documentation expenses. National Folklore Support Centre will coordinate with the departments of the participating Universities/colleges to select and eventually archive the audiovisual documentation resulting out of this program. National Folklore Support Centre will also use the documentation for its teaching program. The application must be sent by the scholar along with the consent letter of the community elder/artist. Your application should reach the concerned professor on or before February 7, 2012. The Central University of Jharkhand invites applications for admission to programmes leading to Doctor of Philosophy (herein after referred to as the Ph.D. Degree) in various disciplines for registration. 3. Last date of admission for the selected candidate will be 29th February, 2012. Fellowship: Selected candidates will be eligible for University Research Fellowship of Rs. 5,000/ permonth (Subject to approval of UGC). Graduate In Agricultural Sciences/ Social Sciences/ Physical Sciences/ Management/ Life Sciences/ Engineering/ Law, with Two Years Work Experience. 15th February, 2012 : Last date for receiving the duly completed Application Forms. Graduate of any discipline under 10+2+3/4/5 System of any recognized University with a minimum of 50% marks (in part III in the case of Arts and Science degree/in applicable years of study of Engineering or other professional UG degrees). For SC/ST candidates, just a pass is required. Candidates appearing for final examinations of Bachelors / Post Graduate Degree Examinations may also apply irrespective of percentage of marks obtained so far (Subject to final results fulfilling the eligibility criteria). Test score of CAT 2011 is mandatory. Intake for the academic year 2012-13 is 120. An additional 18 seats are allocated for Foreign and NRI students. Online Registration Closes: February 23, 2012, 5.00 p.m. Send Printed Application so as to reach by: on or before March 02, 2012, 5.00 p.m. Tentative dates for Group Discussion/Personal Interview: Second week of March 2012. Applications on prescribed performa (available in the department of Punjabi) are invited for consideration of admission to the Ph.D. Course in Punjabi as per the new guidelines of the University’s ordinance VI-B. These guidelines are also available in the University’s Website. The last date of submission of application forms is 27th January 2012 (Friday). Dates of presentation and viva-voce examination shall be announced later on. The syllabus for Entrance Examination, Performa and new guidelines of admission are displayed on the Notice Board of the department. Candidates can have a copy of these from the department on free of cost and also can download from the University Website. The last date for submission of Applications for MBA in Finance (2012-2014) has been extended to January 31, 2012. The Prospectus along with the Application Forms are available from Calcutta University Sales Counter, Asutosh Building, Kolkata-700 073 between 11 a.m. and 3 p.m. on payment of Rs.750 in cash (Excepting Saturdays & Sundays). Brochure and form can also be downloaded from the Website (www.caluniv.ac.in) and submitted along with a draft of Rs.750 payable at Kolkata, in favour of Co-ordinator, MBA in Finance, Calcutta University. Total seats: 30 Indian students (including reservation as per rules) and 5 foreign students. Only MAT (December 2011) qualified candidates are eligible to apply. TERI University is marked by its innovative academic offerings and a strong focus on excellence. It follows a semester system, with each academic year divided into two semesters. A normal academic year commences on the last Monday of the month of July and ends in early December. However, the second semester normally commences in the first week of January and continues till early May. It combines conventional MBA curriculum with new sustainability challenges that have direct impact on a ﬁrm‟s future performance – ﬁnancial and otherwise. The MBA (Infrastructure) programme encompasses a comprehensive and well-structured twoyear curriculum designed speciﬁcally to provide specialized training in the concepts and skills involved in the infrastructure service delivery, regulatory process, and competition policy, as well as helping the managers understand regulation from technical, economic, social, legal and political perspective. Eligibility Stream : Bachelor's Degree with at least 50% marks or equivalent CGPA With English at 10+2 level Candidates appearing for the final year of bachelor‟s degree / awaiting results can also apply. Selection procedure Candidates will be shortlisted based on the basis of CAT/GMAT/MAT score. Selection from shortlisted candidates will be on the basis of group discussions and interviews to be conducted by the University at New Delhi. Applicants are required to appear for the NIIT University Management Aptitude Test (NUMAT). [Those who have appeared for the CAT/XAT/MAT within the last one year of the start of academic session, or possess a valid GMAT score, are exempted from appearing for the NUMAT; such candidates must enclose a photocopy of their score transcript with their application.] The NUMAT is an online assessment of 60 minutes duration and is offered by prior appointment. The applicants will be shortlisted based on CAT 2011 score only. Shortlisted candidates will be invited to attend the Group Discussion and Personal Interview at Chennai/Delhi/Hyderabad or Kolkata/Tiruchirapalli centres. 2) Candidates appearing for their final year degree examination are also eligible. 3) Candidates should have appeared for the CAT exam 2011. You can apply online only, after the payment of applications fees through NEFT mode. Keep the payment of NEFT transaction details before the start of filling up application. WLCI and Tata Motors have jointly established The WLCI- Tata Motors Academy with the purpose of creating world class professionals for Automobile Industry, who would be absorbed in supervisory roles in select Tata Motors Dealerships on successful completion of the programme. The selected candidates will undergo a 11 month specialized programme in Automobile Distribution Management. During the programme, the candidates will work with Tata Motors Dealership and will earn a work based scholarship as well. On successful completion of the programme, the candidate will be awarded the “Professional Programme in Automobile Distribution Management” certification by WLCI-Tata Motors Academy. Eligibility Graduate / Btech / Diploma. Loyalty Bonus After 2 years of satisfactory completion of the programme, each candidate who continues to be in employment with that dealership will receive an attractive loyalty bonus which would help him recover a substantial part of the training fee. Work based scholarship of Rs. 8000 to 10000 p.m.
Pt. B.D. Sharma University of Health Sciences, Rohtak invites applications or admission to the following courses, so as to reach the Controller of Examinations, Pt.B.D. Sharma University of Health Sciences, Rohtak by 10.02.2012 (upto 05:00 PM). Prospectus containing Eligibility conditions, Domicile criteria and application form etc. can be obtained from the HDFC Bank, D. Park, Model Town, Rohtak (Haryana)/Controller of Finance, Pt. B.D.Sharma University of Health Sciences, Rohtak w.e.f.19.01.2012 on cash payment of Rs. 2000/- Inclusive of Examination fee) at the counter or by Registered Post sending bank draft for Rs. 2050/- in favour of “Controller of Finance, Pt. B.D. Sharma University of Health Sciences, Rohtak” payable at State Bank of India, Rohtak with letter indicating “Prospectus for Entrance Examination of MD/MS/PG Diploma, MDS & M.Ch./DMCourses for the session 2012. The test of eligible candidates will be held on 11.03.2012 at Rohtak. For MD/MS/PG Diploma, MDS : Candidates who have (i) passed MBBS/BDS Examinations recognized from Pt. B. D. Sharma P.G.I.M.S. Rohtak / M. D. University, Rohtak or any other University recognized and are bonafide residents of Haryana (ii) completed or will complete their internship on or before 30.04.2012. The HCMS doctors fulfilling Government conditions are also eligible to appear in the test. For M.Ch. – Candidates who have passed MS in General Surgery from Pt. B. D. Sharma P.G.I.M.S. Rohtak / M. D. University, Rohtak or any other University recognized for this purpose. For DM in Pulmonary Medicine – Candidates who have passed MD(General Medicine), /MD(Paediatrics)/MD(Resp. Medicine) examinations from Pt. B. D. Sharma P.G.I.M.S. Rohtak/M. D. University, Rohtak or any other University recognized for this purpose. Note : The Candidate possessing DNB qualification in concerned speciality is also eligible for admission to super speciality i.e. M.Ch./D.M. National Council for Hotel Management & Catering Technology (NCHMCT) is an autonomous body under Ministry of Tourism, Government of India. The Council centrally regulates academics for B.Sc. Hospitality & Hotel Administration and eleven other structured courses of study that are imparted at the existing 21 Central Institutes of Hotel Management, 12 State Government Institutes of Hotel Management and 18 Private Institutes of Hotel Management affiliated with NCHMCT. For candidates from General and OBC categories, upper age limit is 22 years as on 01.07.2012. Candidates born on or after July 01, 1990 are eligible. In the case of Scheduled Caste and Scheduled Tribe candidates, upper age limit is 25 years as on 01.07.2012. That is SC/ST candidates born on or after July 01, 1987 are eligible. Sale of Application Form and Information Brochure shall commence from 5th December, 2011 from affiliated Institute and selected branches of bank. Details shall be available on the Council’s website www.nchmct.org from 28th November, 2011. Availability of Application Form : Application Form will be available from MPPEB counter and designated institutions on cash payment of Rs. 1500/- for (UR & OBC), 750/- (SC & ST) (Cost of application includes the test fee) from 18.01.2012 to 4.02.2012. Seat allotment through Counselling will be based on the eligibility and rank obtained by the Candidate in the Amrita Entrance Examination - Engineering 2012. MD/MS/PG Diploma - MBBS degree and completion of Intership by 31st March,2012. M.Sc Nusrsing- Pass in B.Sc Nursing or B.Sc Hons. Or Post Basic B.Sc Nursing with not less than 55% marks. Should be registered Nurse with minimum one year experience. Lovely Centre for Skills Development is going to start a certificate course in ASP.NET from 30 January 2012. The course contents include: HTML Pages, Web Page Creation, Dynamic Server Side Languages, ASP.NET Web Forms, Server side Controls, Validators, Database Handling, Controls, Caching, Menu Controls, Session and Application States and Deployment. 1. Last dates for receipt of Application Form For Entrance Test. 5. Time of Examination 10.00 a.m. to 12.00 noon. 6. Availability of Prospectus By Hand (Cash Only for Rs. 1750/-) (In Case of SC/ST candidates, Rs.875/-) at Post Office, Panjab University Sector 14, Chandigarh, Sector-17 Chandigarh, Ludhiana G.P.O. and Delhi G.P.O. or By Post from the Manager, Publication Bureau, PU, Sector-14, Chandigarh by sending a Bank Draft for Rs.1830/- in favour of Registrar Panjab University, Chandigarh payable at Chandigarh (In Case of SC/ST candidates, Rs.955/-). In case form has been downloaded from the Internet, please attach requisite fee of Rs.1750/- (In Case of SC/ST candidates, Rs. 875/-) in the form of a bank draft in favour of Registrar, Panjab University payable at Chandigarh. Last Date for receipt of Admission Forms for various courses being run through Distance Mode except for B.Ed. (2-Year) Part-I/MBA/MCA Part-I has been extended upto 31.1.2012 with a late admission fee of Rs. 2000/- + late examination fee of Rs. 1500/-.For undergraduate courses, an additional fee of Rs. 500/- would also be charged as late fee for IInd Instalment of fee. Prospectus Code No. DE-11 containing Admission Form and other details can be obtained from the Manager (P & P), K. U., Kurukshetra - 136 119 on payment of Rs. 400/- (Rs. 100/- for SC/BC/ Blind candidates of Haryana only) at the University Press counter or by post by sending a Bank Draft of Rs. 450/- (Rs. 150/- for SC/BC/Blind candidates of Haryana only) in favour of the Registrar,Kurukshetra University payable at Kurukshetra. Candidates desirous to get admission form through post must send two self addressed slips and Code No. of the Prospectus with their request for Prospectus. Admission Form and other details is also available on Website: www.kuk.ac.in. Candidates using Admission Form after downloading shall be required to pay an additional fee of Rs.400/- (Rs. 100/- for SC/BC/Blind candidates of Haryana only) along with other dues for admission. VIT University’, payable at Vellore. Candidates can also obtain the application form through post by sending a Demand Draft for ` 950/-drawn in favour of ‘VIT University’, payable at Vellore, with a covering letter addressed to “Admissions Officer”, VIT University, Vellore-632014, requesting for the application form and indicating their complete postal address. On receipt of the DD, the application form with the enclosures will be sent by post. The postal charges will be borne by the Institute. Candidates should write their name, Mobile Number and address on the reverse of the DD. Candidates can also apply online at www.vit.ac.in/admissions (online applicants need to pay ` 900/- only). Admission Test Thapar University MBA Entrance Test shall be conducted Online at various centres across India w.e.f 7th to 12th February, 2012 or valid valid CAT/MAT/CMAT Score. Eligibility Admission to MBA program will be open to a candidate who obtains at least 60 % marks in aggregate or 6.0 CGPA in a equivalent grade in the qualifying examination from recognized university. Qualifying Examination for 3 year MBA Program including 1 year Bridge Program Recognized Bachelor’s Degree in Science of minimum 3 years duration in any discipline with Mathematics/ Statistics as one of the subjects . The Institute Of Management Technology (IMT) is one of India’s consistently top-rated and highly- respected B- schools. IMT Ghaziabad featured at #7 in The Economic Times B-schools ranking in April 2011. IMT now also has campuses in Nagpur, Hyderabad, an International campus in Dubai, and a centre for Distance Learning. Candidates must be registered for CAT 2011 or XAT 2012 or GMAT (or have taken the GMAT test) to apply. CMAT score is also considered for short listing the candidates to Hyderabad and Nagpur campuses. Deadline for applying online and receiving online payment or DD/IMS/Career Launcher/TIME receipt is January 20, 2012. 4. Certificate in Herbal Home Remedies. Sale & submission of Application Forms for the 4 Programmes without late fee is upto : 31-01-2012. With a late fee of Rs: 200/- upto : 29-02-2012. Eligibility: Candidate with or without any formal educational qualifications are eligible to appear for the Eligibility Test for seeking admission into the I Year of the B.A./ B.Com./B.Sc. ( 3 YEAR DEGREE PROGRAMME ) for the Academic Year 2012-13, provided they have completed 18 years of age by 1st July 2012. Candidates who do not complete 18 years by 1st July 2012 are not eligible to appear for the Eligibility Test. 1. In Person: Candidates can obtain the Application form and prospectus from any of the Study Centres of Dr.B.R.Ambedkar Open University, or from the University Campus on payment of Rs. 200/- ( Which includes the cost of application and registration fee) by way of Demand Draft obtained from any Nationalised Bank drawn in favour of the Registrar, Dr.B.R.Ambedkar Open University, payable at Hyderabad. 2. Through Cash From E-Seva Centres: The application form can be obtained through Cash Payment of Rs.210/- each from the E-seva counters. 3. By Post : Candidates may also obtain the Application Form and Prospectus by Post from the Controller of Examinations, Dr.B.R.Ambedkar Open University, Road No. 46, Jubilee Hills, Hyderabad – 500 033 by sending the Demand Draft for Rs.250/- drawn from any Nationalised Bank drawn in favour of the Registrar, Dr.B.R.Ambedkar Open University, payable at Hyderabad, super- scribing on the cover E.T – 2012 Application Form along with a written requisition giving full address with pin code, on or before-10-02-2012. The requisitions that reach after the above date will be returned. 4. Date, Venue and Medium of Eligibility Test: Eligibility Test will be conducted on Sunday 15-04-2012 from 10.00 A.M. to 12.30 P.M. in ENGLISH, TELUGU AND URDU MEDIA at all the Study Centers of Dr.B.R.Ambedkar Open University, located in the TWIN CITIES OF HYDERABAD, SECUNDERABAD AND IN ALL THE DISTRICTS OF ANDHRA PRADESH. Delhi School of Management endeavours to enable future managers understand the challenges of the information and knowledge driven tech-savvy work environment and develop their competence and calibre to meet and greet these challenges. It offers right combination of class-room learning, hands-on experience of the corporate world and exposure to the experience of the industry stalwarts that will equip students of MBA program to place themselves as managers of 21st Century in the globalized economy characterized by innovations, entrepreneurship and speed. B.E/B.Tech. in any branch of Engineering/ Technology with a minimum of 60% marks in aggregate. Ist class Master Degree in any branch of Physical/ Chemical/ Mathematical Science like Physics, Chemistry, Mathematics, Statistics, Computer Application, Electronic Science, Environmental Science, Operation Research, Computation/ Information Science or Master's Degree in Commerce/ Economics. Selection Procedure: All the applications received will be short-listed on the basis of performance in CAT and Qualifying Examination. The short-listed candidates are required to appear for a Personal Interview and Group Discussion. Prospectus of DTU along with the Application Form can be downloaded from DTU website www.dce.edu. Downloaded Application Forms must be submitted along with DD/ PO of Rs 1000/- in favour of ‘The Registrar, Delhi Technological University, Delhi Payable at Delhi by 27 January, 2012 (5.00 P.M.). Incomplete application, due to any reason, is liable for rejection by the University. Applications are invited from CAT 2011 candidates for admission to MBM Course (2012-2014). It is a University Masters Degree with State Subsidized Course fee and good placement facilities. Only Honours Candidates and/or Graduates with equivalent* degree need apply. • The office of the Department of Business Management, Calcutta University, Alipore Campus, 1 Reformatory Street, Kolkata 700027 (12 Noon – 3 PM) by 24.02.2012 Calcutta University”. Applications (duly filled in) to be received by 24.02.2012 (12 Noon – 3 PM) at the Department office (Alipore Campus, 6th floor). The CSIR- NPL, a premier research laboratory in India in the field of Physical Sciences, invites applications from M.Sc students for admissions to its Ph.D (Science) Programme. Interested candidates are encouraged to contract the Director or HRD Group , NPL through e-mail at dnpl@nplindia.org or hrd@nplindia.org. Applications are invited from eligible candidates for admission to the 2-year (4-semester) full-time MBA programme 2012 at Mesra, and our Extension Centres at Jaipur, Kolkata, Lalpur and Noida. 1) Candidates must have appeared in CAT 2011 / CMAT 2012 and should have valid Score in CAT 2011 / CMAT 2012. 3) Candidates with B.Sc. / B.A. / B. Com. qualification must have minimum 50% marks in average (40% for SC/ST) in graduation, marks to be computed as average of marks obtained in ALL subjects in which candidate has appeared [excluding optional subjects]. Percentage of marks for candidate with Honours degree will be computed on the basis of Honours’ subjects. 4) Candidates of other professional courses including BBA/BCA must have minimum 55% marks in average (40% for SC/ST) in graduation, marks to be computed as average of marks obtained in ALL subjects in which candidate has appeared (excluding optional subjects). 30 June 2012, they will have appeared for examination in all subjects required for obtaining their Bachelor’s degree. requisite marks or equivalent based on latest available grades / marks. Marks to be calculated as per item (3 or 4) above. Their admission will be confirmed only when they submit the mark sheet and a certificate of having passed the Bachelor's degree / equivalent qualification with requisite marks as per item (3 or 4) above. They must submit proof of passing their final examinations with requisite marks by 31 October 2012. Non-fulfillment of this condition will automatically result in the cancellation of the provisional admission. 6) Candidates with qualifications acquired through correspondence or distance-learning programmes are eligible only if (a) the programmes are recognized by the DEC-IGNOU, (b) they have passed the qualifying examination at the time of applying, with minimum requisite marks in average calculated as per item (3 or 4) above. They must enclose photocopies of pass certificate and marksheets of qualifying examination with their application. Only those students who have qualified from foreign Universities or Boards of Higher Education, recognised as equivalent by the Association of Indian Universities (AIU) are eligible for admission in Master’s Degree Programmes at TISS. The candidates can refer to the qualifications required for eligibility for admission to the different programmes given below. (a) A Bachelor’s Degree of a minimum of 3 years duration or its equivalent (under the 10+2+3 or 10+2+4 or 10+2+2+1 year bridge course pattern of study or any other pattern fulfilling the mandatory requirements of 15 years formal education) from a recognised university, in any discipline. (b) Candidates who will complete all the requirements of their final year Bachelor’s Degree examinations by Saturday, June 9, 2012, are also eligible to apply to all the programmes (except the four programmes offered by the School of Health Systems Studies) provided they have successfully completed their first and second years, if the degree course is of 3 years; and the first, second and third years, if the degree course is of 4 years. Candidates applying for the M.A. Education (Elementary) programme should complete all the requirements by May 11, 2012. In such cases, admission to any of the Master’s Degree Programmes of the Institute will be provisional. If a provisionally admitted student fails in the final year examination, the offer of provisional admission automatically stands cancelled. (c) Candidates applying for the Master of Public Health Policy, Economics and Finance; and Master of Public Health in Social Epidemiology Programmes should have a (i) Master’s degree in any discipline, or (ii) Bachelor’s degree in medicine, paramedical and other four years programme like pharmacy, veterinary sciences, engineering and others. (d) Candidates applying for the Master of Health Administration and Hospital Administration should have (i) successfully completed their graduate degree in any discipline, or (ii) Bachelor’s degree in medicine, paramedical and other four years programme like pharmacy, veterinary sciences, engineering and others. in Social Epidemiology; and Public Health in Health Policy, Economics and Finance. (f) Candidates applying for the Master in Habitat Policy and Practice should have a Bachelor’s Degree in Engineering, Architecture, Management, Physical Sciences, Geography, Planning, Law, or Social Sciences, with some inclination towards habitat related issues/sectors. (g) Medical graduates should complete their internship on or before Saturday, June 9, 2012. Otherwise, their candidature/admission stands cancelled. Financial markets across the world are getting more vibrant and simultaneously integrating themselves. The liberalization, globalization of economies and technological advancements has warranted the need for financial market professionals. The certificate program in capital market and financial management aims at developing professionals with adequate skill and knowledge in the securities markets, and provide an understanding of the current structure, pricing, risk, competition and financial innovations in money and capital markets. 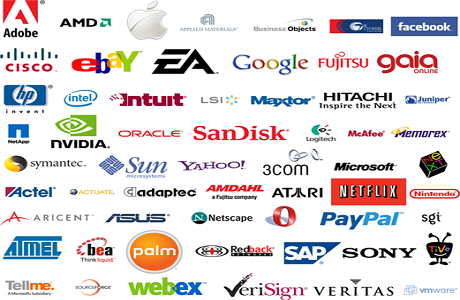 Diploma holders with two years full time work experience at executive/supervisory level as on 31st March 2012. Organizational sponsorship is preferred. Non-sponsored employed candidates may also be considered provided their applications are accompanied by a “No Objection Certificate” from their employers. Mode of Admission: Selection will be on the basis of personal interviews to be held at IIFT’s Campus. Prospectus and Application Form can be obtained by making cash payment of `250/- (`125/- for SC/ST/PH candidates) in person or by sending a Demand Draft/Pay Order of `250/- (`125/- for SC/ST/PH candidates) drawn in favour of Indian Institute of Foreign Trade payable at New Delhi. Application form can also be downloaded from our website: www.iift.edu and sent to IIFT along with demand draft of `250/- (`125/- for SC/ST/PH candidates). The course is designed for young businessmen and executives requiring knowledge of inter-cultural dimensions and expertise in an identified international language. Eligibility: Minimum educational qualification is Graduation. Preference will be given to candidate with work experience. Dates and Timings of the Course: The Course in each language will be held during April – July 2012 in the weekends (2.00pm to 6:00 pm) at IIFT Campus in Delhi. Application Form can be obtained from the Institute on all working days between 10:00 am - 4:30 pm on payment of Rs. 250/- (Rs. 125/- for SC/ST/PH candidates) or download application form from www.iift.edu and accompanied by a Demand Draft/Pay Order for Rs. 250/- (Rs. 125/- for SC/ST/PH candidates) in favour of Indian Institute of Foreign Trade payable at New Delhi at the time of submission. Note:- HPUBS. IVS. ,MTA,MCA, and B.Ed. Department will issue separate Schedule and Handbook of Information for admission in the courses for the session 2012-2013.
iii) Date of declaration of result of M.Phil. ( All subjects )/ LL.M./Dip. in GIS. Notice for Entrance Tests for Postgraduate Degree (MD/MS) and Diploma Courses in (Allopathy) and MDS Degree Courses for the Session 2012-14/15 and 2012-2015. (i) MD/MS (Allopathy) In-service regularly appointed Medical Officers and in –service adhoc/contractual/Rogi Kalyan Samities appointees AND for open competition graduates of IGMC, Shimla, Dr.RPGMC Tanda(Kangra), Bonafide Himachalis who have done MBBS from any Institution recognized by MCI and Children of H.P. Govt. employees/employees of Autonomous Bodies wholly or partially financed by H.P. Govt. getting admission to MBBS course through CBSE or any other All India Entrance Examination in MCI/GOI any recognized by Medical Colleges in India, can apply for this test. (ii) MDS In-service regularly appointed (M.O. Dental) and in-service contractual/ Rogi Kalyan Samities appointees and for open competition graduates of Dental Colleges located in the Himachal Pradesh, Bonafide Himachalies who have done BDS from any Institute recognized by DCI and Children of H.P.Govt. employees/employees of autonomous bodies wholly or partially financed by the H.P.Govt. getting admission to BDS course through CBSE or any other All India Entrance Examination in DCI/GOI in any recognized Dental colleges ion India, can apply for this test. Last Date: The last date for receipt of OMR Application Forms( Form No.1) complete in all respect in the office of the Assistant Registrar(Entrance Tests) H.P.University, Shimla- 171005 is 18.1.2012 (including Tribal Area) thereafter no application will be entertained. Roll Nos./Admit Cards will be issued in person to the candidates or to their authorized representatives on 9th & 10th February, 2012(11 AM to 5 PM) in the office of the EntranceTests Section of the University, Ground Floor, Room No.10, Administrative Block. Procedure for obtaining the Prospectus: For prescribed Application Form (OMR) and information, the Prospectus can be obtained at the University Exams Enquirycum Sale Counter, Library Building,( Basement) Summer Hill,Shimla-5 from 29.12.2011 to 18.1.2012 during working days on cash payment of Rs.2000/- including test fee and by post Rs.2100/- by sending IPOs/Bank Draft to be drawn in favour of the Finance Officer, H.P. University, Shimla. The requests for obtaining the Prospectus by post should be addressed only to the Assistant Registrar(Ent.Tests) H.P.University, Summer Hill,Shimla-5 mentioning clearly there in the name of the prospectus i.e. MD/MS(Allopathy) or MDS(Dental). No request for sending the prospectus by post will be entertained after 3.1.2012. (i) By hand: In person against bank draft for ` 1500/- (` One thousand five hundred only) for General Category and OBC candidates and ` 1000/- (` One Thousand Only) for SC/ST/PH category candidates as per details given in clause 1.2. between 9:30 A.M. to 12:30 P.M. and 2:00 PM to 03:00 PM on all working days upto 21.01.2012. (ii) By post: Against bank draft for ` 1550/- (` One thousand five hundred and Fifty only) for General Category and OBC candidates and ` 1050/- (` One Thousand and Fifty Only) for SC/ST/PH c a t egory c andida t e s by s ending a self addressed envelop of 10" X 8" up to 14.01.2012 as per details given in clause 1.2. Note: Request received thereafter will not be entertained, even if the request is posted before 14.01.2012. The Delhi University will not be responsible for delay/loss in transit of the request for supply of Bulletin of Information by post, for any reason whatsoever. (iii) The candidates may also download the Application Form from the Faculty website www.fmsc.ac.in or Delhi University website www.du.ac.in and submit the same alongwith requisite Fee of 1500/- or 1000/- as the case may be. The last date for supply of Bulletin of Information by post is 14.01.2012. Applications for admission to Ph.D. Programme in Geography are invited on a prescribed Admission Form so as to reach in the office of the Department of Geography, Delhi School of Economics, University of Delhi, Delhi – 110007 on or before January 27, 2012 by 4.00 p.m. The Handbook of Information along with Admission form for Ph.D. Courses will be available from January 2, 2012 to January 27, 2012 from 10.00 a.m. to 3.00 p.m. in the Office of the Chairperson, Board of Research Studies (Social Sciences), Faculty of Social Science Building, University of Delhi, Delhi – 110007. The application should be completed in all respects and should be duly supported with ten copies of detailed research proposal duly forwarded by the Supervisor in which the scholar will carry his/her research. The Departmental Research Committee will interview the short listed candidates on February 8, 2012 at 11 A.M.
To be eligible for admission to the Ph.D. Programme, a candidate must have obtained a Master’s / M.Phil. degree of the University of Delhi, or any other recognized University, or any degree recognized as equivalent in the subject in which the candidate wishes to pursue a course of research, or in an allied subject. She / he must have obtained either a minimum of 50% marks or equivalent grading in the M.Phil. degree or a minimum of 55% marks or equivalent grading in the Master’s degree. M.C.A. - 31.03.2012 (Saturday) 02.30 p.m. to 04.30 p.m. The date of Written Test & Personal Interview will be held on 16th January 2012, Last date of admission will be 19 January 2012 and the classes will start from 20 January 2012 instead of earlier dates. Applications on prescribed forms are invited for admission to the Integrated Pre-Ph.D. Course work for registration to M.Phil./Ph.D. programme (on successful completion of Course work) of study for the academic session 2012 to be offered by the Department of Foreign Languages(French). (ii) Candidates with M.Phil Degree from any recognized University with explicit proof of qualifying in the course work of minimum one semester duration can also apply for provisional registration to Ph. D. programme directly without prosecuting fresh course work if selected in the Admission Test (Personal Interview Only). However, such candidate must have passed at least one paper on Research Methodology and obtained at least 55 marks in each paper separately or B grade in aggregate. Applying procedure: Admission forms may be downloaded from the website with a bank draft of Rs. 500.00 for SC/ST candidates and Rs. 700.00 for other than SC/ST candidates or prospectus 2012 may be collected from Cash Counter of Assam University on all working days till 16 January 2012 (upto 2 p.m.) on payment of Rs. 500-00. A demand draft of Rs. 200.00 drawn in favour of Finance Officer, Assam University, Silchar payable at SBI, NIT Branch, Silchar or UCO Bank, AUS Branch, must be submitted alongwith the application form as application fee. However, SC/ST candidates need not pay application fee. The last date of submission of duly filled in Admission form to the department is 16 January 2012. Date of written test and personal interview will be held on 25 January 2012 from 11-00 am to 1 pm and 2 pm to 4 pm respectively. Last date of admission will be 30 January 2012 and the classes will start from 31 January 2012. Reservation of seats for admission in respect of SC/ST/OBC/PWD candidates will be made as per GOI rules. Any other information regarding admission may be inquired from the Head of the Department of Foreign Languages (French) or Shri Partha Sarathi Das, Cell i/c, Research, Fellowship & Students’ Welfare Cell, Assam University, Silchar.